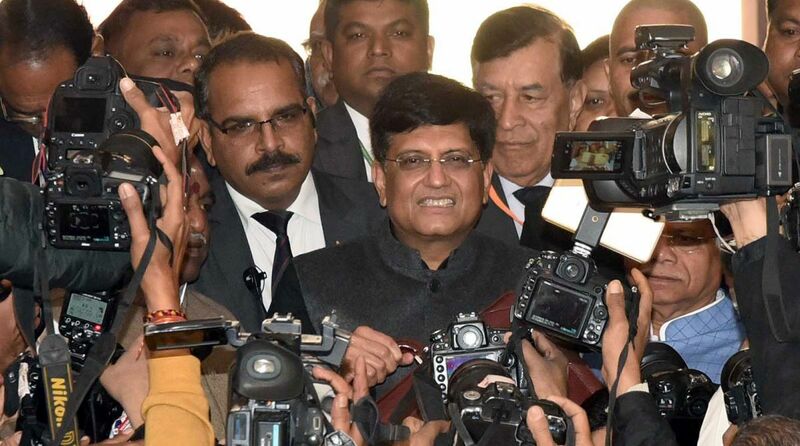 The interim budget presented by officiating Finance Minister Piyush Goyal was an out-and-out election budget as the BJP-led NDA government sought to made a strong re-election pitch. While the Lok Sabha elections are set to take place in a couple of months, Goyal converted his vote on account speech in the Lok Sabha into a full- fledged budget announcement. The Budget 2019 reactions from different quarters will be interesting to hear as the FM announced sops for all sectors. The Budget 2019 proposed an array of incentives for both middle class and farmers. Small businesses will save on income tax, with the exemption limit doubled to Rs 5 lakh from the current Rs 2.5 lakh. The fiscal deficit for 2019-20 has been pegged at 3.4 per cent of the GDP, up from the fiscal consolidation roadmap of bringing it down to 3.1 per cent in 2019-20 and 3 per cent in 2020-21. Here is how the industry experts and leaders reacted to Budget 2019. Indroneel Dutt, Chief Financial Officer, Cleartrip: “The Indian travel and tourism sector which has emerged as a key growth driver didn’t see any concrete provisions in the 6th and final budget of the current government presented by Finance Minister Piyush Goyal. While the list of 10 most important dimensions that will guide the government in Vision 2030 mentions next-gen infrastructure and digital India the budget lacked clarity on allocations and how these could push the sector. “The interim budget for 2019 has been a shot in the arm for several sections of the society through its tax relief measures for the middle class and mega schemes for farmers. “We appreciate the budget’s recognition of India’s startup ecosystem’s contribution to the economy and the creation of a Digital India in Vision 2030 is indicative of the long road ahead for this ecosystem. The budget however, did not offer clarity on issues surrounding the angel tax much to the dismay of the industry’s expectations. Facilitating a conducive growth environment for such companies is key and hence, clarity around taxation and the regulatory environment will further help build a strong technology ecosystem which can contribute to the government’s vision of India as a $5 trillion economy over the next 5 years. “It is probably for the first time in several years that the entertainment industry has been hailed as a force of employment generation. While the Finance Minister has offered incentives to the film industry, it is also worth recognising the huge scope that live entertainment offers, for employment and growth of the Indian economy. We hope that the GST Council along with the government can find solutions to streamline the existing tax structures for this sector as well and bring it below the current rate of 28%, to enable a well-rounded ecosystem. “We whole-heartedly support the government’s move to curb piracy through the introduction of the anti-camcording provision in the Cinematography Act. With these measures, we expect the regulatory framework of the entertainment industry to significantly change for the better. Dr. Arun Singh, Lead Economist, Dun and Bradstreet: “The budget announcements are almost in the expected line especially in the election year. Announcements toward farms, farmers and middle income category are expected to create huge pressure on the fiscal deficit during FY20. “While the announcement towards salaried income and middle class income tax payers would put additional pressure on the fiscal mathematics, it would help to kick start consumption growth story in India. “If implemented in the time bound manner, announcement towards farm and rural sector would help ignite rural consumption which otherwise is muted. “Support for the middle class, farm package, unorganised sector and income tax benefits will boost demand. Nimish Gupta, MD, RICS South Asia: “The sanctity and prudence generated in the overall economy, on the back of continuous reforms over the last three years were expected to deliver a business environment that was conducive, opening up the economy for large hearted schemes. As RICS, we expect that the Real Estate and Construction sector, which suffered the maximum brunt of some of these reforms, is now expected to grow significantly in light of the changes that these schemes and reforms intended. RERA and the Benami transactions act have already resulted in wider semblance in the market on the back of increased transparency. “While this has been an interim budget, it has been heartening that the real estate sector, in particular, will see the silver lining. Affordable housing continues to get an impetus with benefits under Sec 80(i)BA being extended for one additional year, for housing projects approved till the end of 2019-2020. RICS is also encouraged with the focus extended to the promotion of rental housing, with the TDS threshold on rental income raised from INR 1.8 to INR 2.4 lakhs. Homebuyers will also benefit from the rollover of capital tax gains being extended to investment in two residential houses, for an individual having capital gains up to INR 2 crores. “It is also heartening to see the continued focus on infrastructure development, with new regions being brought under the ambit of railway connectivity and India now being the fastest highway developer in the world, ensuring there is wider motorable connectivity. We also have something to look forward to from the Union Budget, post the 2019 general elections, given the intent of the Government to reduce the incidence of GST on homebuyers. Manish Sacheti, CFO, Ziqitza Healthcare Ltd: “We applaud the Government on the announcement of a budget directed towards the lesser privileged and middle class population. The budget this year has indeed addressed a lot of issues that will help the economy to prosper. The allocation of INR 19,000 crores for the development of the roads in the rural areas is a great initiative. Being an emergency medical provider, this will help us reach out to the remotest corners of the country which has connectivity constraints. The success of the Ayushman Bharat Scheme is commendable and we are glad that the healthcare sector of the country is undergoing a significant transformation. Vishal Gondal, CEO and founder, GOQii: “The 2019 budget looks promising for the healthcare sector; we have seen some major initiatives and announcements that will potentially change the health Index of India. One of the key highlights is the establishment of a system that ensures a stress free environment and comprehensive wellness for all. Keeping in mind that 55 per cent of India’s workforce are millennials, this is definitely need of the hour. Therefore, paving way for a stress-free India is directly proportional to its growth. The healthcare announcements made in the budget are a welcome move and will help build a strong economy. This will provide opportunities for companies like GOQii to contribute to making a stress-free India and creating a space that encourages preventive healthcare over curative. Neha Bagaria, Founder & CEO, JobsForHer: “The Government mandates 26 weeks maternity leave with a 400Cr proposal from last year to reimburse employers for 7 of the 26 weeks of extended maternity leave. Amendments to the Maternity Act, 1961 is significant, but what about balancing paternity leave directives? Men should be incentivised to take longer periods of paternity leave as well. Paid paternity leave can have positive effects for gender equality at home and at work, disrupting prevailing stereotypes. “The conversation needs to move to ‘Parental Leave’ policies. Equal time off should be given to both parents and called family-friendly policies. The Government needs to be committed to reducing the burden on working parents, particularly in the first 12 months, when it is difficult to secure quality childcare as seen in an online survey we conducted for women restarters, where 38% cited childcare as one of the biggest challenges to restarting their careers. The Government has to mandate ‘Parental Leave’ as opposed to just maternity leave to balance the scales which will definitely enable women to engage and remain in paid employment and progress in their careers. Suraj Mahtre, Business Head, WarrantyBazaar.Com: “Mobile & parts manufacturing firms have increased from 2 to 268 which will help in supply of affordable and domestically manufactured devices in Indian market. This will increase the number of smart phone users in India which will further propel manufacturing in the country. Also, it will lead to the rise in demand for Warranty Services and Service Network for after sales support. Domestic supply of spare parts will make servicing quicker and less costly. With the budget 2019, we predict that refurbishing of phones will be cheaper adding more inventories in market with attractive prices. Boost in the direct tax collections, enabling bigger capital expenditures (declared in budget), incentives to farmer, basic tax slab raised to 5 lakh – are noticeable moves towards economic growth that will fuel the industrial growth in mid-term. Markets seem to be satisfied with the fiscal prudence shown by the FM especially before elections with fiscal deficit target being 3.5% and Current Account deficit target being 2.5% of the GDP in line with expectations. Though the final mathematics of expanding benefits and foregoing taxes remain to be seen. Biggest plus is introducing the Rs.3,000/month pension scheme for the unorganised sector. Also positive steps taken for Agriculture with the interest rate subvention and Rs.6,000/ year direct benefit to farmers with upto 2 hectares land. The budget seems to have covered major constituencies of Farmers, SMEs and Middle class. Yet I feel not enough was done for job creation and to boost our crumbling industrial infrastructure. No clarifications on Angel tax was disappointing. But the increased focus on AI from announcement to launch a National Artificial Intelligence (AI) Portal is a step in the right direction. AI will have a major role in disrupting multiple Industries and as a nation it is important that we understand it’s significance and take steps to promote innovation in it. Welcome move by the FM to give tax breaks to people with income upto Rs.5 lakh and effective income of Rs.6.5 lakh taking section 80C into account. Also increase in standard deduction to Rs.50,000 and exemption on interest income on savings to Rs.40,000 are a big plus. This will go a long way in boosting consumption in the economy. No sops for mutual funds though which is a little disappointing.